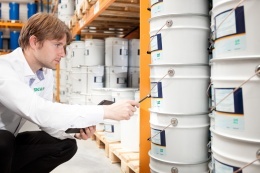 Do you want to certify a product, process or person? SKH offers you assurance with added value. The assurance of the certificate of your choice. Plus, the added value of our proven ability to provide ideas, excellent service, knowledge and years of experience. This added value makes a noticeable difference. You want a certificate because it provides better market opportunities. Or because you have to. Why choose for SKH as certifying body? SKH works pro-actively with clients and products, process and persons do not only acquire a certificate, but also grow in terms of relevance and potential. In other words: if you choose for SKH as a certifying body, your certificate will be more than a mere obligation. You will work on the development of products, services, people and successful processes. An investment with results. Which certificates does SKH provide? SKH provides certifications for products, process and persons in the Safety, Environment, Industry, Construction, Services and Agriculture markets.